It is a little-known fact that both Daredevil and Batman share a common ancestor, and he goes by the moniker of the Black Bat. Daredevil is markedly the youngest of the trio, and even though there is much debate on who came first between Batman and the Black Bat's mainstream incarnation, an earlier version of the latter was created only years before Batman's 1939 debut. Regardless, all three vigilantes share similar themes and motifs; Batman and the Black Bat obviously share the bat motif, while Daredevil's alter ego and origin are either directly or coincidentally borrowed from the Black Bat's own story. More on that in a bit. The Black Bat enjoyed a long run of detective novels up until 1953 and has been through a few revival attempts. The most recent attempt to revitalize the all-but-forgotten pulp era hero has been made by none other than pulp-friendly Dynamite Entertainment in the 12-issue comic book run, The Black Bat. 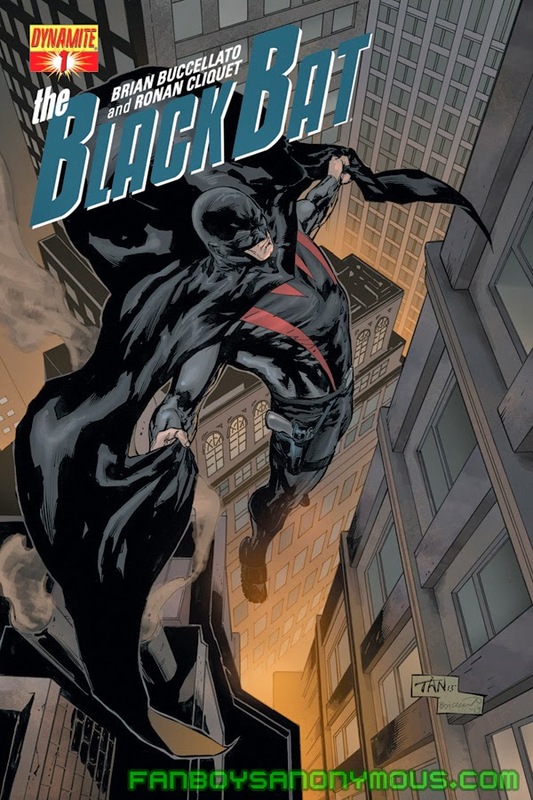 Helmed by writer Brian Buccellato, illustrator Ronan Cliquet, and colorists Mat Lopes (issues #1–9) and Viviane Souza (issues #10–12), the series brings the Black Bat into a gritty, dysfunctional, and modern urban setting, presumably New York City or something fictionally analogous. 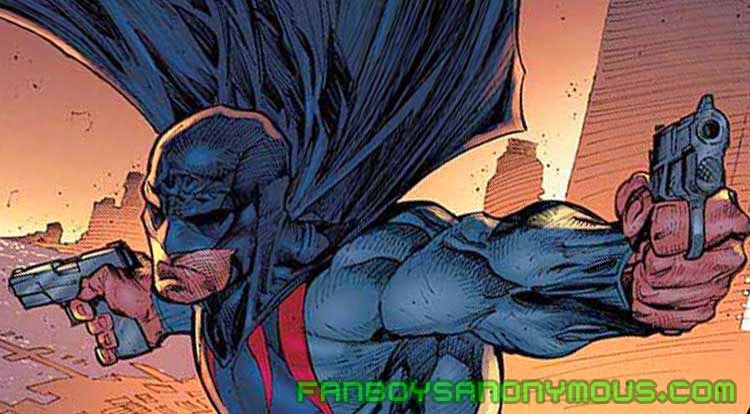 In this modern revival, the Black Bat's origin is only slightly modified from his second incarnation's. Anthony "Tony" Quinn was once a district attorney who, in one fateful case, chose to defend Oliver Snate, a mob boss. When Quinn finally grew a conscience and refused to rat out a key suspect for Snate, the criminal had him tortured and had his eyes removed. Sounds familiar, doesn't it? Quinn's original origin involved him becoming blinded when a criminal threw acid onto his face, which covers both Daredevil's and Two-Face's origins. 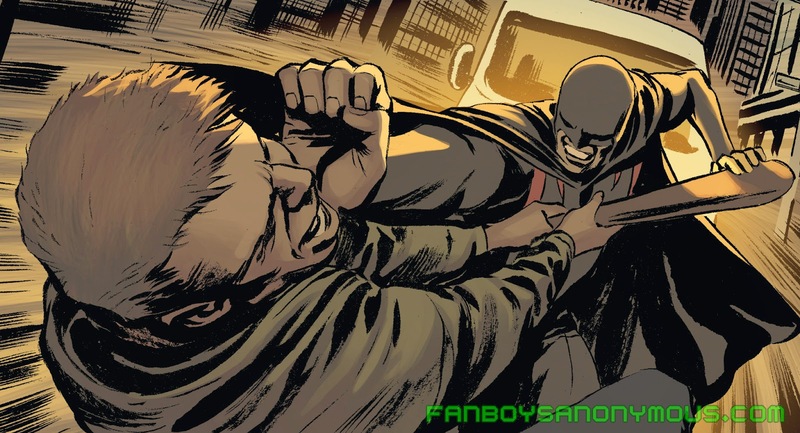 Unlike in his original origin—in which Quinn vows to seek justice and trains himself to become a crimefighter—he spirals into a depression and eventually decides to end it all. That's when fate, in the form of Carol Baldwin and her private organization, steps in and offers Quinn a second chance. He's then equipped with cybernetic eyes and trained to become a sort of super soldier for a mysterious cause. 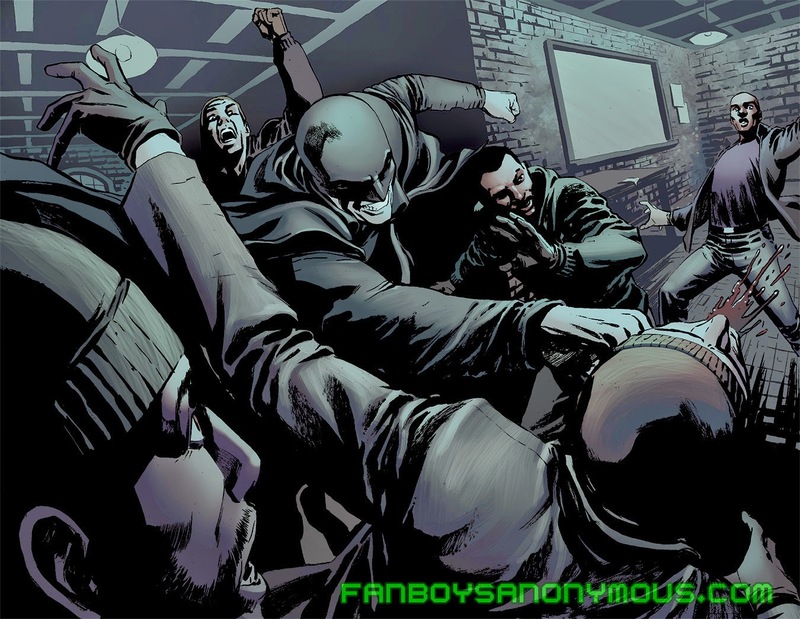 He seeks out vengeance on the criminals who ruined his life, and after a tussle with Snate's hired brawn, the Brute, and saving Silk Davis, a drug addict who had a part in ruining Quinn's life and who would become his partner in crime, Quinn dons the mantle of the Black Bat. Soon after, he, the organization, and the inquisitive Detective Mezza stumble onto a twisting and winding plot of misdirection involving a large percentage of the city's police force getting kidnapped, a bomb threat on the city courthouse, and a civil revolution. Buccellato does a superb job at retaining the pulp-era feel to the story while introducing Watchmen-era philosophy into a story that tests the moral limits of vigilantism. Cliquet, Lopes, and Souza complement his narrative with equal grit and realism while retaining the shadiness of the noir genre. There were only two plot points that made the overall plot feel incomplete. First is Quinn's life between gaining his cybernetic eyes and becoming the Black Bat. In the books, his secret life just seems to completely disappear after his downfall, and after his transformation he just becomes a vigilante. What exactly does he do when he's not hounding the criminal underworld; who is Tony Quinn behind the cowl? There are several scenes in which he's interacting with the real world as himself, but if someone were to ask him what he does for a living, what would he say? There's no sense of dimensionality to him, which could have been improved had Buccellato given Quinn motivation to, perhaps, pursue a career in law once more to complement his vigilantism much like Matt Murdock's law career complements his escapades as Daredevil. Second is [SPOILER ALERT] Quinn's relationship with Baldwin. Buccellato establishes their relationship early on as sternly handler-and-agent, and they remain pretty professional up until they're smooching it up. The romance factor comes blindly and suddenly out of left field, and the writer just expects the reader to accept that hackneyed agent-falls-for-handler theme at face value. Where was the build up to that relationship? If it was subtle, then it was nearly nonexistent. Aside from those plot holes, the series is overall enjoyable, especially for those readers who like the other pulp superhero Dynamite series like The Shadow or Masks. The Black Bat is definitely no Batman; if anything, he is more Daredevil than Dark Knight. Even though the city wears down on Quinn, he always tries to retain his morality. The Black Bat gets 4 out of 5 stars for the writing and 4.5 our of 5 stars for the art. Definitely pick this series up in trades if you're interested, and look into Dynamite's other pulp properties, especially The Shadow: Year One, which I'll review here on Fanboys Anonymous in the coming month upon the series' finale. Did The Black Bat fulfill your nostalgia, long-time fans? If you were like me and of the newer, less informed generation of pulp-era comic readers, what did you think about Batman and Daredevil's daddy? Geek out in the comments section below!